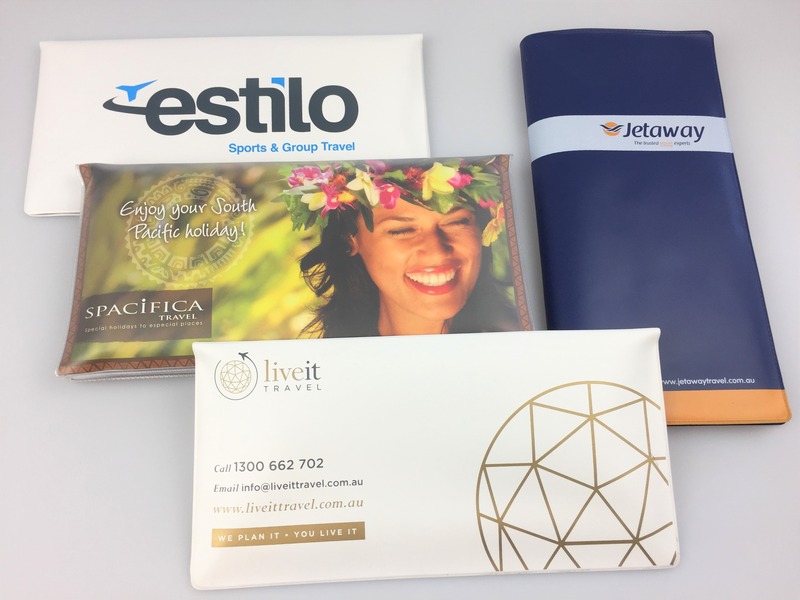 Ticket Wallets are popular with Travel Agents for presenting their clients with their trip itinerary and tickets for flights, cruises, car hire, accommodation and entertainment. Our most popular size is 250mm x 250mm (when open) with clear pockets inside front and back. We also make a variety of other sizes so please let us know what size is ideal for you. You can choose any of our 28 standard colours to match your branding and a print option to suit your unique style. Help your clients keep their passports and paperwork organised and protected and in a stylish wallet with your contact details so that next time they travel it’s easy for them to contact you. Many Travel Agents also order matching luggage tags as a gift to their clients.